It's that time of year when so many of us feel the need to start fresh. To look at ourselves and our homes with new eyes and see where we can make changes for this new year. 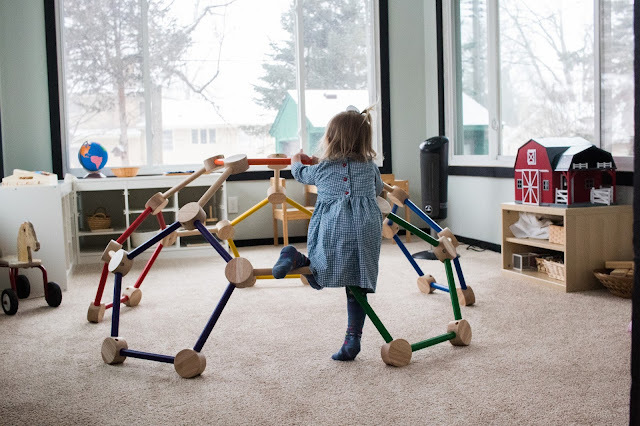 When considering our Montessori home, organizing our prepared environment is one way to make tangible changes that can make our own life easier and things more accessible for our child. The good news is that these changes don't have to be huge, expensive, or time consuming in order to have a big impact on your environment. Shelves can be used to organize everything from toys to kitchen tools. Adding the right shelf to your space can change the entire feel of a room, allowing your child to see exactly where things need to be. There are many types of shelves that can be added to a home on a variety of different budgets, sizes, colors and designs. Trays are essential to organizing in a Montessori home. They help to keep work together, and make it accessible for a child. When materials are on a tray, a child knows exactly what goes together for that particular work. The vast majority of my personal trays come from thrift stores. They can also be found at craft stores and online. 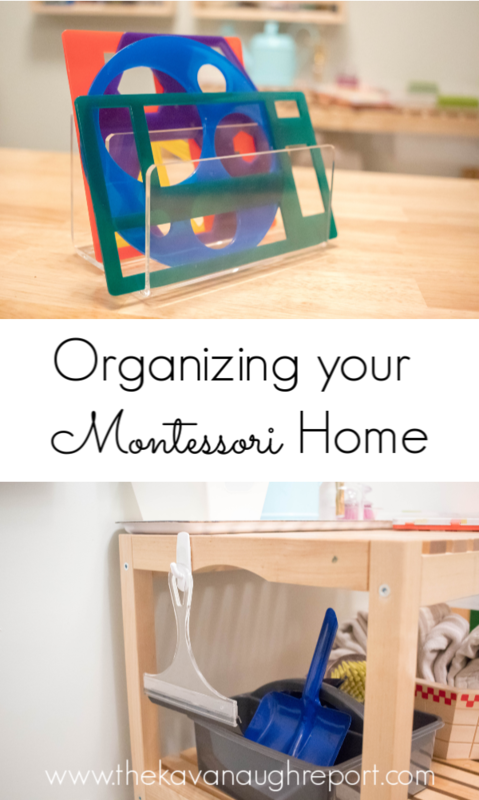 Baskets are the perfect way to organize many materials in a Montessori home. Often baskets are the perfect solution for open ended toys including blocks, train sets, and model animals. 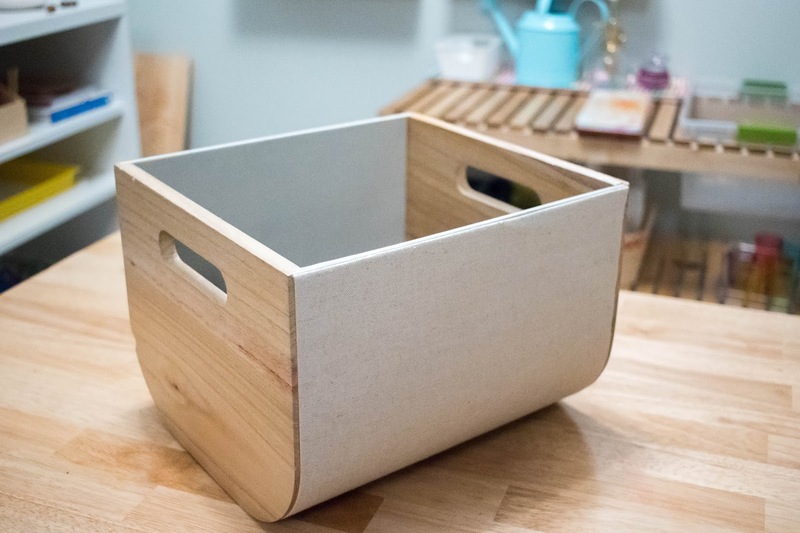 Deciding between a basket and tray often hinges on the purpose of the materials, for me. Small baskets are also perfect for keeping trays organized. Again, many of the baskets in my personal collection have come from thrift stores. But, baskets can also be found in a variety of stores and online. Letter organizers and napkin holders seem like a weird one to include on this list! 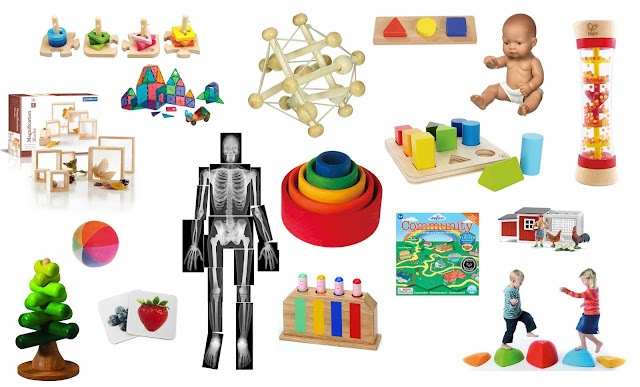 But, they are an easy and quick way to organize so many little things for children. 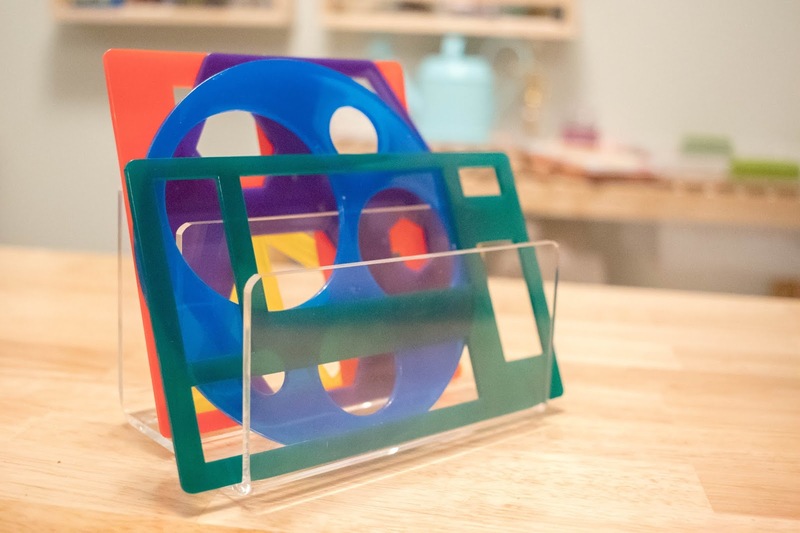 From paper in an art area, to puzzles, and even stencils (currently being used on my shelves) letter organizers make things visible and accessible for children. And, provide a visual appeal to things that often end up scattered on a tray or basket. Hooks are the unsung hero of Montessori homes. 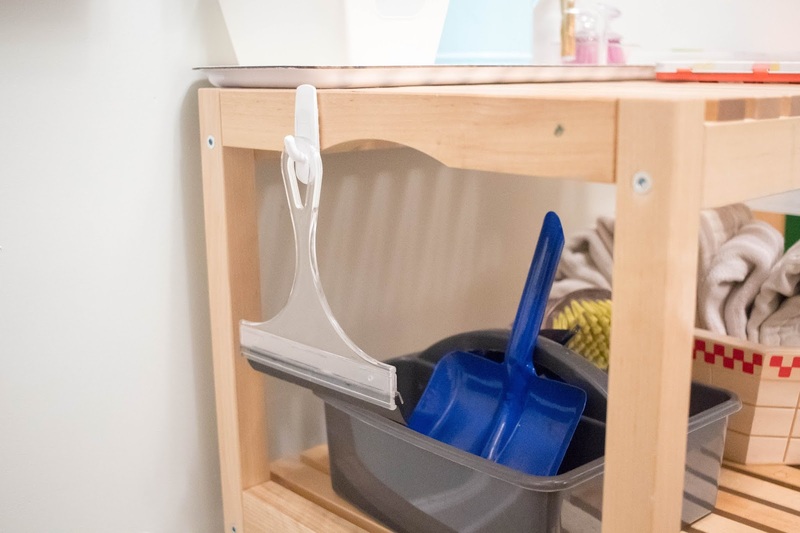 I’ve written about them before, but a good low hook can be a game changer for organizing everything from play silks to utensils, to aprons and clothes. 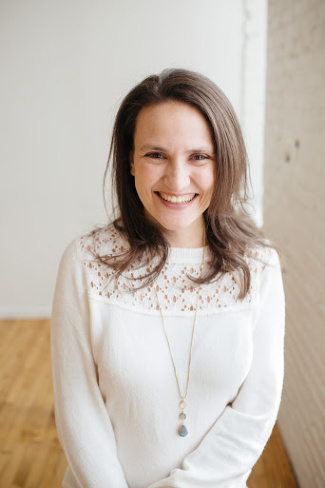 They are a cheap and easy change that really make a huge difference - making things accessible and organized. Whether they are plastic/acrylic, glass, or wood, small cups and containers can be a lifesaver in organizing toys and materials. They can be used alone, or on a tray to keep all those little pieces together in one spot. Using the right small container can also double in keeping younger siblings away from work that they aren't quite ready for. This is another thing that I mostly get at thrift stores, craft stores, or the dollar spot at Target. * Sprout Kids is having a sale on their organizational collection until January 14, 2019! 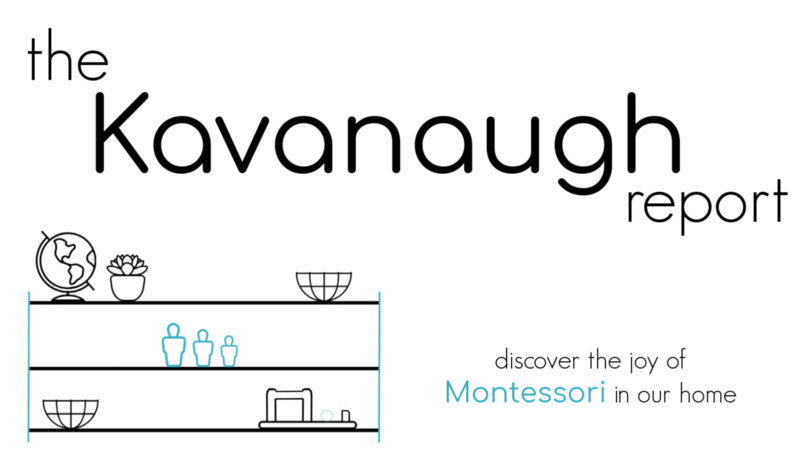 Sprout Kids is offering The Kavanaugh Report readers 15% off items in their organization collection with code KAVNEWYEAR! Have you used any of these to organize your home? Is organization on your mind in January? Very timely article! You anticipated what I needed to know before I even knew what to look for. Thank you!